There has been a surge of true crime documentaries on both British terrestrial and Freeview television recently, and as a true crime writer and journalist, I welcome this, having a declared interest. As always, this output is of varying quality â€“ some very powerful and responsible, some sordid and sensationalised, especially on Freeview channels, but not exclusively. The old adage â€˜If it bleeds, it leadsâ€™ has for generations been a rule-of-thumb in the print media, and this is now being adopted by some television channels. I have appeared as a talking head on several true crime documentaries myself, so I really shouldnâ€™t throw accusatory stones when living in the shadowy world of the true crime glass house. But I was moved to write this article, as I was angered by the misrepresentation of a person and her life, specifically what I believe is the wrongful conviction that made her a murderer. When true crime is pure reportage with talking heads, the consequences of mishandling a crime on television are there and can lead to misinformation and the misleading of first-time or lesser-informed viewers about the case in question. But when itâ€™s a potential miscarriage of justice, and one which did not, in my opinion and many othersâ€™, pass the threshold of guilt being â€˜beyond a reasonable doubtâ€™, the result can be very serious indeed. The documentary in question was The Jury Room, which aired on CBS Reality, available on Freeview, on Sunday, 11th June. CBS Reality has a large true crime output, broadly ranging from excellent to poor quality. The American-made true crime reportage show 48 Hours is exemplary, explaining why it has won Emmy awards â€“ really good journalists, deep reporting and digging for evidence, clever story-telling, high-level expert analysis, all leading to balanced and discerning information and opinion, allowing viewers to make up their own minds. British-made The Jury Room, judging purely on last Sundayâ€™s episode, represents the complete opposite. Each episode focuses on a case where the convicted person still professes their innocence, often after years in prison. Twelve â€˜ordinaryâ€™ people make up the TV jury, strangely the Daily Mail agony aunt Bel Mooney the only recognisable face among them. There is also one person on the jury panel with police-judicial experience, an ex-copper with thirty years of service. It is notably cheaply-made, presented by Will Hanrahan and with very limited analysis or insightful talking heads. When I heard that the episode was going to be about Susan May, I had to watch it. I was late-in-the-day to Susanâ€™s case, not contacting her until 2012. We spoke and emailed for over a year, the idea being to do a long feature article about her case. I cannot claim to have been very important to Susan â€“ other journalists such as the Guardian Prisons correspondent Eric Allison and his colleagues did very important work on Susanâ€™s case, uncovering fresh evidence and publishing it to a wide audience. Susan also had many political supporters â€“ the Labour Partyâ€™s Diane Abbott, and the current Shadow Chancellor John McDonnell among them, as well as the late Tony Benn. Susanâ€™s MP, for Royton in Greater Manchester, was the late ex-Minister Michael Meacher, and I interviewed him in his office at Portcullis House in 2012. Shrewd and very experienced, he believed wholeheartedly in Susanâ€™s innocence, and heâ€™d put down an Early Day Motion in the House of Commons on her behalf some years previously. Despite me sceptically trying to pick holes in her case with him, having read all the evidence, by then covering her conviction and Appeals and reams of paper, he didnâ€™t waver once. In reality, I had already made up my mind that Susan hadnâ€™t killed her aunt Hilda. Yet she was still a convicted murderer, having been released after serving twelve years in 2005, despite the fact that she could have got out earlier if sheâ€™d â€˜admittedâ€™ her guilt. Seven years after her release, Susan and her supporters were still trumpeting her innocence and the miscarriage of justice she had suffered and continued to suffer in name. Susan was her auntâ€™s caregiver, and 87-year-old Hilda relied on her for her everyday needs â€“ Susan woke her up and helped dress her, fed her three times a day, did her shopping and any other necessary errands. Susan had power of attorney over Hildaâ€™s affairs, and control over her life, but the frail Hilda was still able to live at home, which she wanted. 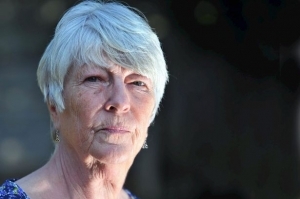 There was never any evidence brought forward that Susan had mistreated Hilda in any way at all, and in fact seems to have been a devoted, resilient and reliable carer â€“ over eighty local people came forward to offer character witness statements on Susanâ€™s behalf. At her original trial in 1993, much was made of the fact that Susan had got through around Â£200,000 of Hildaâ€™s money, that this had run out, that Susan had allegedly spent some of the money on her â€˜toy-boyâ€™ boyfriend, and was Â£7,000 in debt at the time of Hildaâ€™s murder, for which 48-year-old Susan was arrested eighteen days later. I worked out that this money had been spent over eight years â€“ the time during which Susan had been Hildaâ€™s carer. This amounts to about Â£25,000 a year, with which ex-hairdresser and now school play assistant Susan had to pay her own mortgage and help keep her own family, including three older children, as well as look after Hilda. Is that so much, even at early 1990s values? And is a debt of Â£7,000 motive for the brutal murder â€“ Hilda had been terribly beaten around her head and face â€“ of a very elderly family member, which the prosecution proffered? Then there was the blood-stain found smudged on the wall of the downstairs room where Hilda slept â€“ left there by the murderer as they touched the wall, said the prosecution. In 2013, the international fingerprint expert Arie Zeelenberg stated, after making a thorough and considered examination, that the smudge on the wall was caused by sweat and not blood, and in his opinion the mark had been left on that wall before Hildaâ€™s murder. There was also the fact that Hilda was found, by Susan on her morning visit, battered to death, with the lower part of her body naked and uncovered. This surely points to a sexual motive. Staged by Susan? Would she really treat her aunt with such disrespect and leave her with no dignity? Did she really hate Hilda that much? There was no evidence that she anything but liked and felt affectionate towards her aunt. True, stressed carers do snap and occasionally kill those they care for, but you canâ€™t convict beyond a reasonable doubt. Johnny Cochrane famously said when controversially defending O J Simpson, when Simpson couldnâ€™t put on the glove found at the brutal double murder crime scene of his ex-wife Nicole and her friend Ron Goldman in a trial just two years after Susanâ€™s, â€˜If it doesnâ€™t fit, you must acquit.â€™ Unfortunately, there is strong evidence to suggest that Greater Manchester Police made the evidence fit Susanâ€™s guilt like a proverbial glove when they mounted the prosecution against her. I contacted Greater Manchester Police for an interview about Susanâ€™s case in 2012, but was told that nobody who worked on the case was still on the force. In 2009, Des Thomas, the ex-Head of Hampshire CID, looked at Susanâ€™s case independently and concluded that â€˜a number of police witnesses may have adjusted their evidence to fit a desired rather than valid outcomeâ€™ and that â€˜a disinterested observer may conclude that some evidence had been manipulated to construct a case against Susan May.â€™ Quite damning, coming from a former very senior police detective. For instance, much was made at the original trial about Susan allegedly asking a policewoman if evidence might be found under fingernails. Susan always denied ever saying this â€“ and would an intelligent mature woman have asked a police officer that if she was guilty? But when Susan subsequently changed her false nails, as women often do, it was made out that she had been trying to dispose of evidence. The evidence sounds tailor-made to fit the facts, in my opinion, probably through police tunnel vision, perhaps worse. Additionally, there is the explosive evidence that came out later, about the red Ford Fiesta car which was seen outside Hildaâ€™s house on the night of her murder, which was not disclosed by the police to Susanâ€™s defence, despite the driver of that car that night being seen at one time by the police as â€˜a strong suspectâ€™. It later transpired that the car had been driven by a serial burglar, allegedly with violent tendencies, who had borrowed that car from his sister. That burglar was later stabbed to death in an unrelated incident. There had been no forced entry at Hildaâ€™s house, but could the front door have been left open â€“ by Hilda when she let somebody else in and then forgot to lock it that night or by Susan forgetting to lock it when she left Hilda that evening? Burglars are opportunists, and trying windows and doors is a tool-of-the-trade. Susanâ€™s case was going before the Criminal Cases Review Commission (CCRC) with the new blood evidence when Susan was diagnosed, again, with breast cancer, from which she died in October 2013, still protesting her innocence vehemently, and I know from chatting to her on the phone how being a wrongly-convicted murderer ate away at her. Just after her death, the CCRC, which Michael Meacher MP told me in 2012 â€˜wasnâ€™t fit for purposeâ€™ dismissed Susanâ€™s case, despite the new evidence put forward. And there it rested â€“ a very sad miscarriage. Until last Sunday that is, when in The Jury Room documentary, Susan was found guilty yet again, three years and eight months after her death. I was anticipating a Not Guilty verdict from the TV jury, or at the very least, a split jury which wouldnâ€™t convict her in a court of law. But Bel Mooney, the ex-cop and the ten others convicted her unanimously, and beyond a reasonable doubt. No mention was made of Des Thomasâ€™s overview of the police case, and the new blood and red Ford Fiesta evidence was shown, but very briefly. The financial and fingernail evidence angles, which had so swayed the original jury, despite being entirely circumstantial, were major taking points on television. The talking heads comprised of a very young and unknown defence barrister with no connection to the case, and another ex-copper called Colin Sutton, who worked on some important cases in his career, but didnâ€™t seem very opened-minded about Susanâ€™s case. It was all supposition on the jury, so much so that the ex-police member at one point tried to intervene by saying, â€˜We have to go by the evidence.â€™ But that was a whimper rather than a bang, and he was hardly Henry Fondaâ€™s character in Twelve Angry Men. At one point, Bel Mooney looked as if she was jealously vying for more attention, over a vocal young man who was thinking less than forensically or even thoughtfully, like all the others, out loud. Susan was despatched to another televisual infinity of guilt in around forty-five minutes, after allowing for the adverts. Some true crime documentaries do great work in raising awareness about miscarriages of justice, presenting new evidence, and very occasionally righting wrongs, or even exposing the real culprit. But this programme was cringe-worthy to watch for anyone who knows Susanâ€™s case. Worse than that, it was almost heart-breaking- for Susan and her family. Susan May and her troubling and complex case deserve a proper documentary, so much more than this unbalanced and dishonest fodder. Susan doesnâ€™t have a voice anymore, but that doesnâ€™t mean she doesnâ€™t matter.